Moscow, Russia - April 23.2015: View of the monorail and Ferris wheel in Moscow. 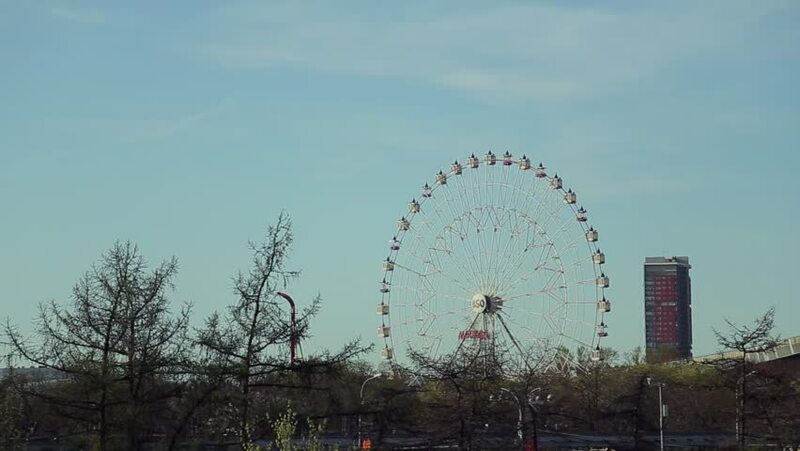 hd00:20Moscow, Russia - April 23.2015: View of the monorail and Ferris wheel in Moscow. 4k00:33LONDON EYE, LONDON - May 20, 2015. The London Eye filmed in 4K in summer 2015. Originally opened in March 2000 it is now known as the Coca Cola London Eye. Big Ben is in the background. hd00:15Osaka,Japan - 13 October 2018 - EXPOCITY is a large theme park in the Expo Memorial Park in Suita City, Osaka Prefecture. hd00:19NhaTrang, Vietnam, November,12-2018: A huge ferris wheel on a background of blue sky.